The Z Is Coming, The Z Is Coming! Nissan 400Z In The Works! We finally have definitive confirmation that Nissan is working on a Z replacement, so we can all breathe a sigh of relief. 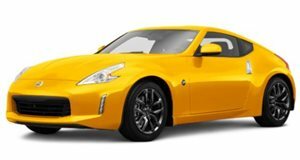 It’s hard to believe the Nissan 370Z has been on sale for nearly 10 years. Year after year, Nissan keeps when the Japanese sports car is clearly long overdue a replacement. Next year also marks the 50th anniversary of the iconic Nissan 240Z, which seems like a fitting time to introduce an all-new Z car. Worryingly, there have been fears that the . Fear not, as Nissan’s Senior Vice President for Global Design Alfonso Albaisa has answered our prayers, confirming that a 370Z successor is in the works. “The Z-car, oh my god. Huge pressure,” Albaisa said during an interview with . “You can imagine I’m completely excited that I am in the position to work on that.” So there you have it: official confirmation from Nissan that a next-generation Z car is being developed. Albaisa didn’t share any more details, but WhichCar speculates that Nissan will unveil a new Z car prototype or concept previewing the 370’s successor at next year’s Tokyo Motor Show in October 2019. That’s a long time to wait, but we’re just happy the legendary Nissan Z car isn’t dead after all. As for potential powertrains, Autocar has previously suggested the next-generation Nissan Z will use the same twin-turbo V6 found in the Infiniti Q50 and Q60. It could be called the 400Z, suggesting we can expect the 370Z’s replacement to have around 400 hp under the tap. The report also claims a hotter 400Z Nismo will arrive with a 3.0-liter twin-turbo V6 engine producing 475 hp and 451 lb-ft of torque.